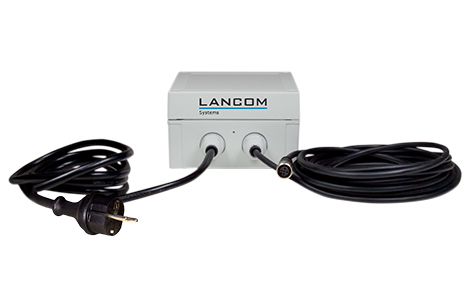 Where no 10-28V power supply is available, the LANCOM OAP-320 PSU makes an easy installation of LANCOM OAP-3G and LANCOM OAP-321-3G possible. The power supply kit consists of an 24 V power unit in an outdoor IP66 housing and weather-proof cables. A practical wall mount is integrated in the housing.